The parents of Ben Pollack, who is nonverbal, want his school to let him wear a device that records his day, but the district says that would violate the privacy of other students. 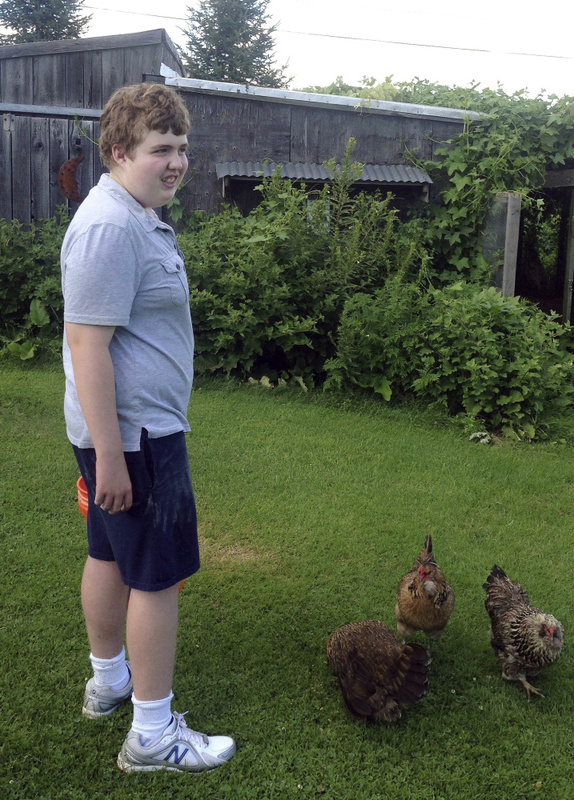 BOSTON — A Maine teenager with autism and a rare neurological syndrome that affects his speaking ability cannot talk to his parents about his school day the same way other students can. So his family is fighting for the right for him to carry an audio-recording device to ensure he’s being treated properly when they aren’t watching. A novel case heading Monday to the 1st U.S. Circuit Court of Appeals in Boston, which hears most New England cases, pits the student’s parents against his southern Maine school district, which says the recording device would infringe on other students’ privacy rights. His parents say they need a glimpse into his day so they can better advocate for him at a school they don’t trust is always telling the whole story. “Most kids can come home and tell their parents what happened at school or what the teacher had done or not done. He can’t do that,” said Matthew Pollack, the father of Ben Pollack, who is now 18. The parents argue that laws prohibiting discrimination against people with disabilities require the district to allow him to record his school day. Because their son largely cannot communicate with them, they say he cannot benefit from his education the same way non-disabled students can. The school told the couple that the recorder would violate a ban on students using privately owned electronic devices. Since then, two administrative hearing officers, a lower court judge and a jury have all rejected the family’s request. “The plaintiffs have tried a number of legal theories under which to attach a recording device to the child and they have lost at every round and on every theory,” said Daniel Nuzzi, an attorney for Regional School Unit 75, which includes Mt. Ararat Middle School. Attorneys for the district say teachers and administrators have gone above and beyond to provide the parents with information about the student, who they say loves school. A hearing officer concluded last year there is “simply no demonstrable benefit” to allowing the parents to record his day and that it would actually be “disruptive and detrimental” to his education. If parents can assert a right to “send an always-on listening device to school with their children, what would this mean for students who wished to report abuse or neglect at home to a school counselor, or for students with disabilities who are LGBT?” asked Samantha Crane of the Autistic Self Advocacy Network. Arlene Kanter, director of the Syracuse University College of Law’s Disability Law and Policy Program, said she believes the family has a strong case. The Americans with Disabilities Act requires schools to make accommodations unless doing so would pose an undue burden or fundamentally alter their program. The family here is not asking, for example, that the school spend extra money or move Ben Pollack to another class, Kanter said. “From what I’ve seen, there wasn’t any showing that it was an undue burden,” Kanter said. A decision in favor of the parents could affect other children in his situation, which Matthew Pollack said is part of the reason why he and his wife have been fighting this case for so long.